About Us – Pleasant Valley Preschool, Inc. 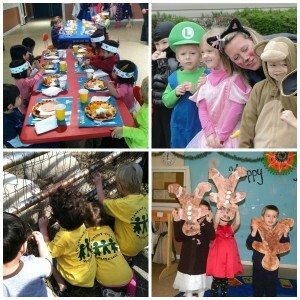 Pleasant Valley Preschool (PVP), Inc, is a non-profit cooperative preschool founded in 1977. PVP is licensed by Fairfax County and accredited by the Virginia Co-op Preschool Council. Classes are limited to an enrollment of 16 children. A teacher, assistant teacher, and participating parent are present at each class. All parents have opportunities to participate and engage in their child’s preschool experience. We believe in creating a safe learning environment that strongly encourages parent participation and provides a nurturing preschool education. Our educators strive to promote social development through play and use a hands-on approach to meet our children’s individual learning styles.